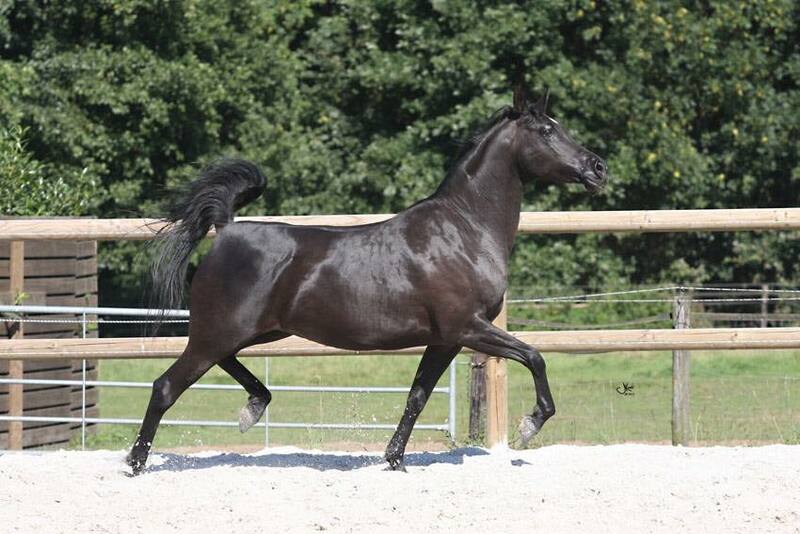 Extremely exciting Multi-Champion stallion in both Israel and Europe. One of the most beautiful and correct The Minstril grand-daughters. 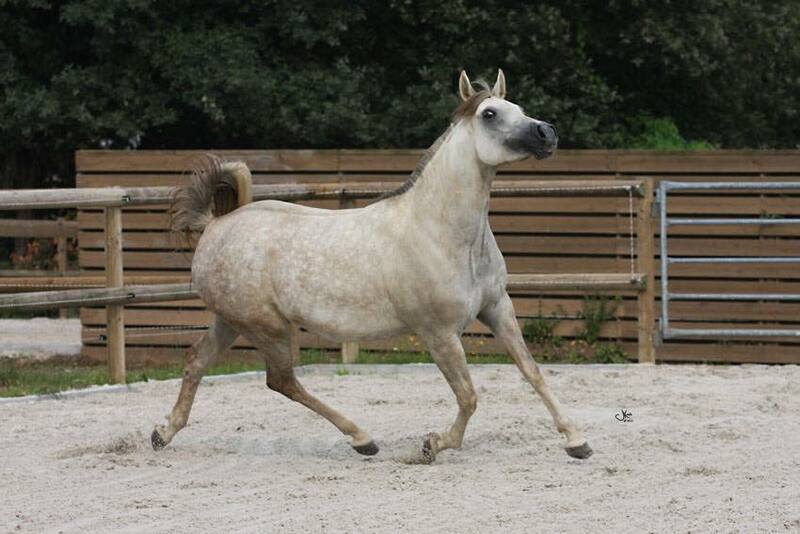 Ali Sharie is a bold moving mare with a long stride and excellent hock action. 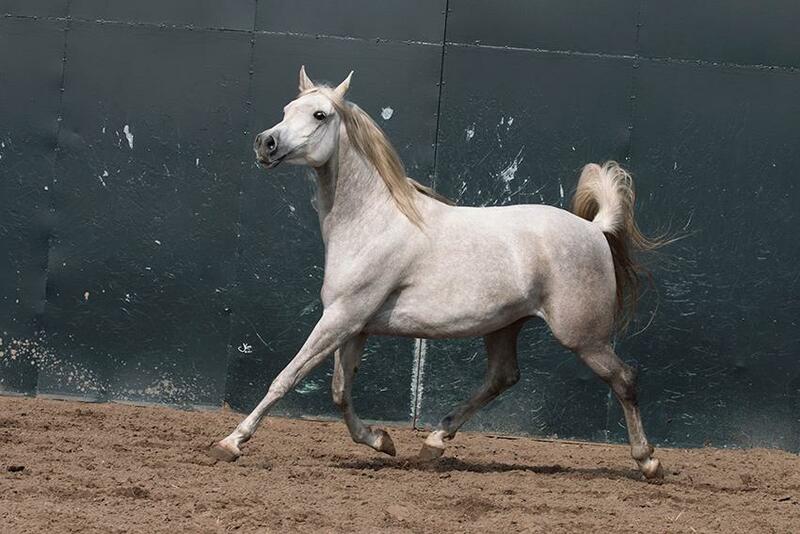 Ali has two full sisters - Alia Sabrina (Ali Azimm x Monieta Sharia) placed in the Top Ten in 4-5 year old mares at the Egyptian Event 2005 and was sold to the King of Morocco. 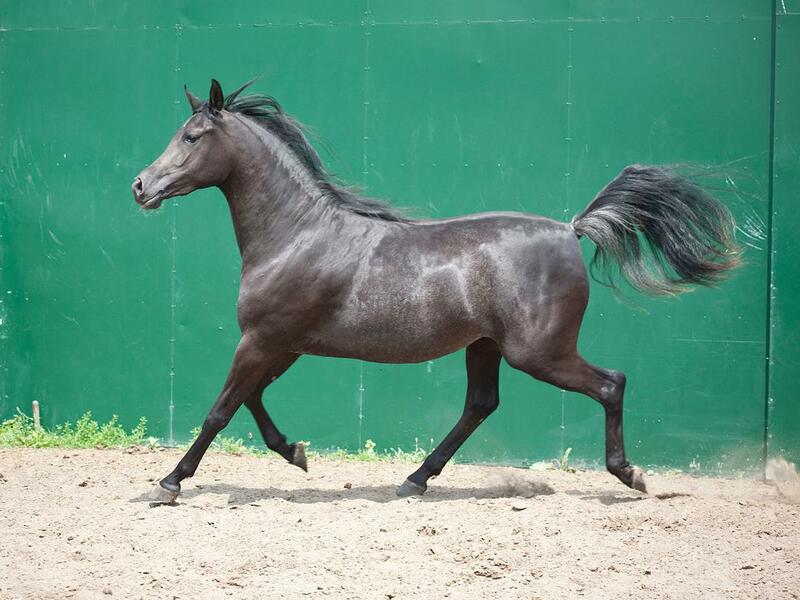 El Shalia (Ali Azimm x Monieta Sharie) placed second in 6-9 year old mares at the Egyptian Event in 2004 and is now showing in cart. 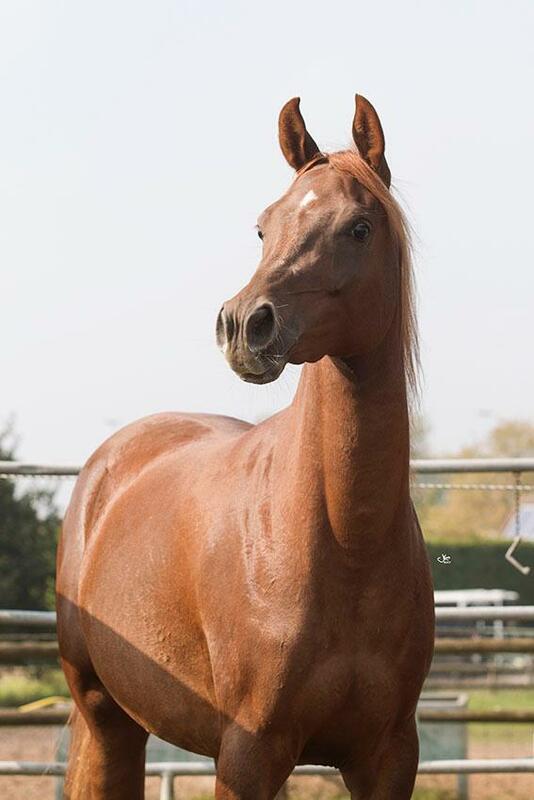 ​Graceful and spirited, she’s already travelled to Scottsdale in 2017 and earned reserve honors in her Straight Egyptian fillies class. 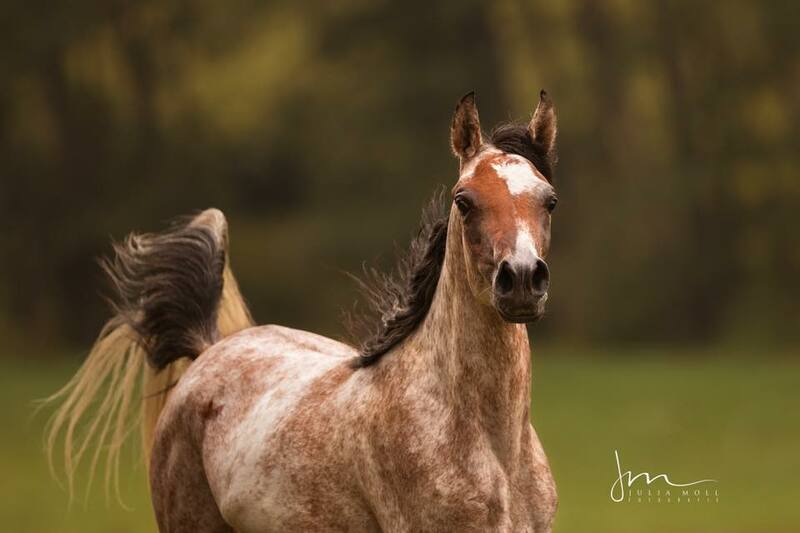 Charisse has been professionally trained by Bryan Jeffries and we look forward to seeing her develop as a quality show horse. 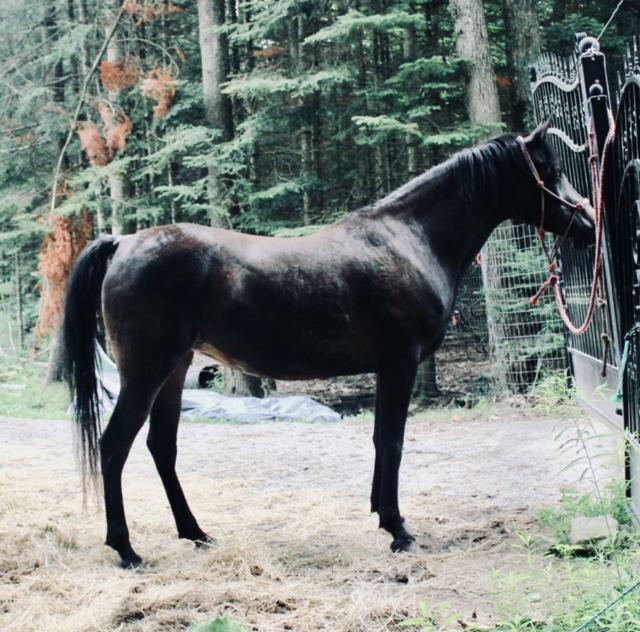 PLEASE NOTE: The bay mare in these pictures is also available for purchase. 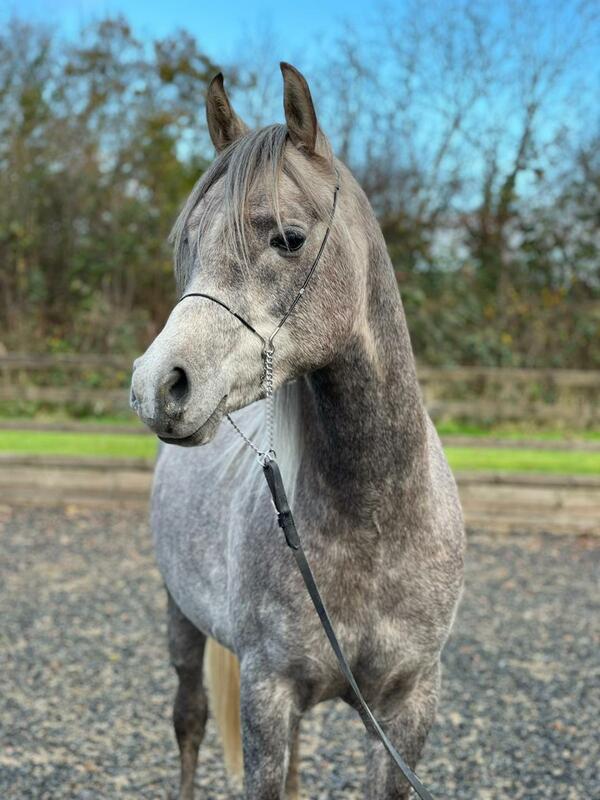 A colt full of show attitude and a bright future as a breeding stallion. His dry face is decorated with two big eyes and a very fine muzzle. He will be tall and grey. 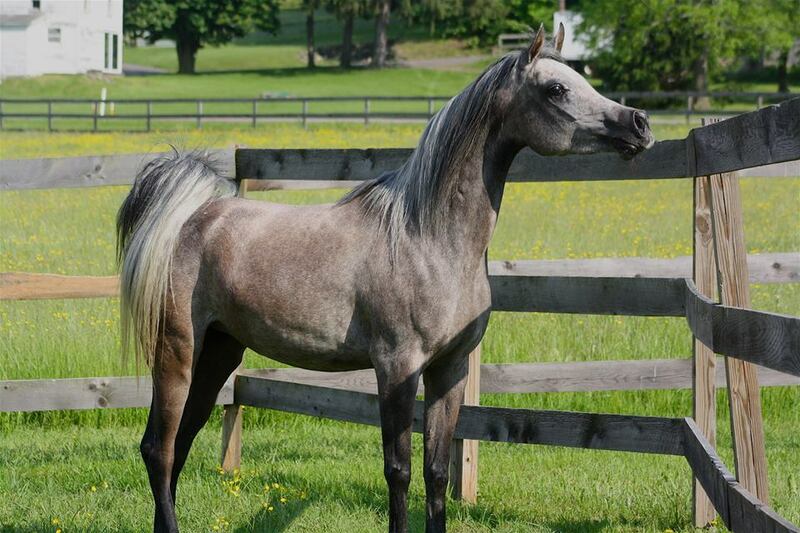 Very easy to handle and has grown up with his friends. 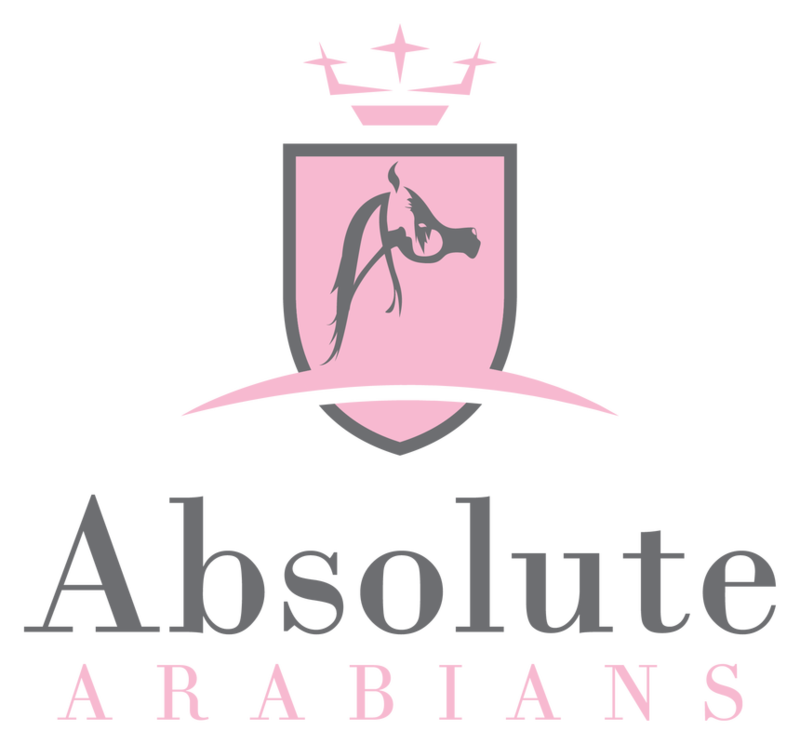 Straight Egyptian - Pure in the Hadban Enzahi strain! 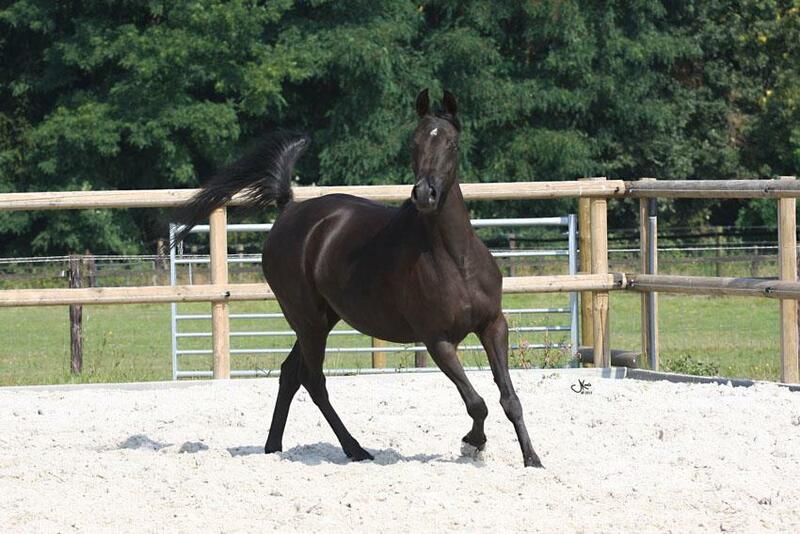 A tall, blanced mare with a lovely topline, long refined neck and a typey head. 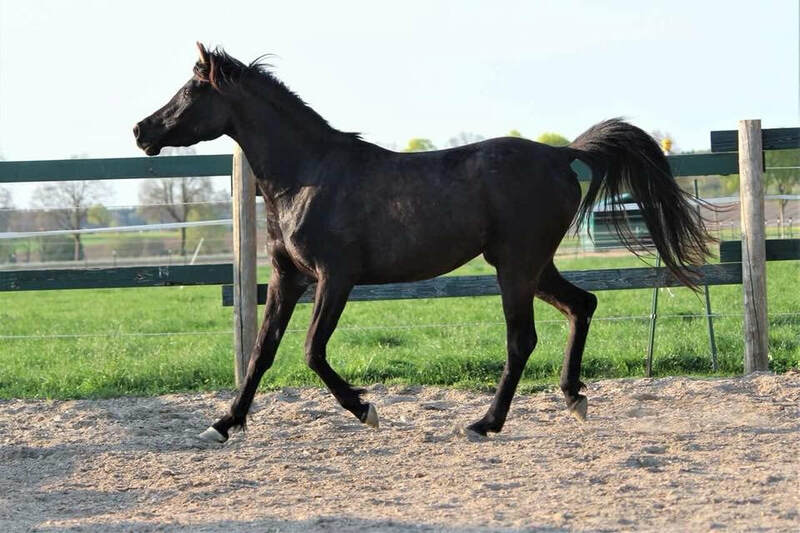 Stunning Black Filly with fantastic movement. 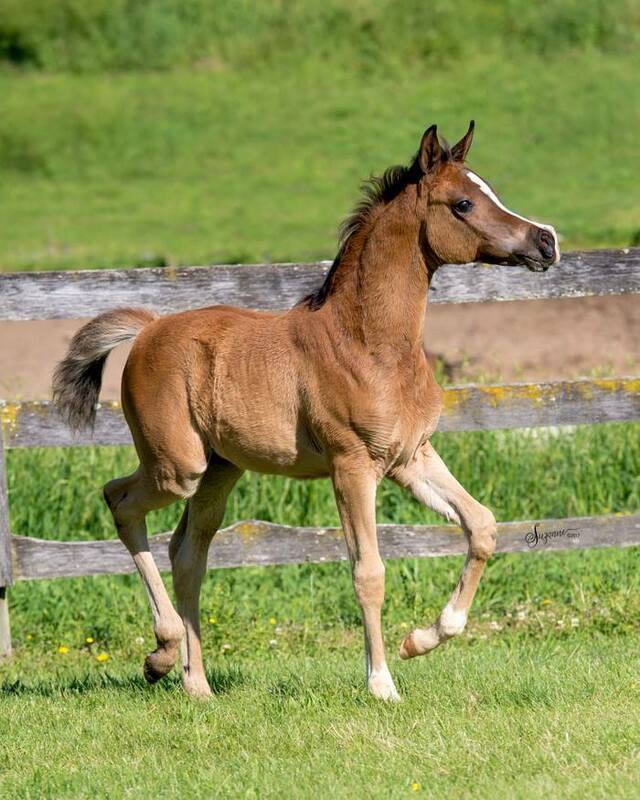 A tall and very smart filly. Extremely inquisitive - she is non stop interested in everything! Very correct conformation and a beautiful classic desert head. 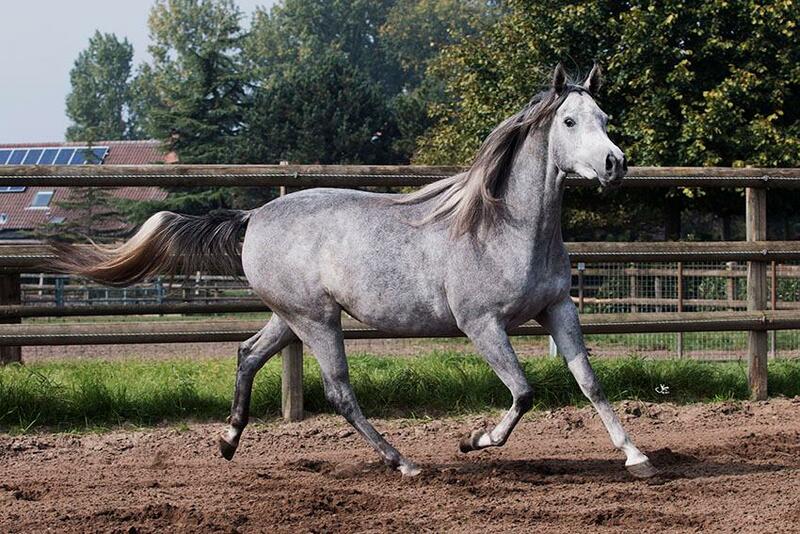 Her legs are strong and her flashy movement shows it off! 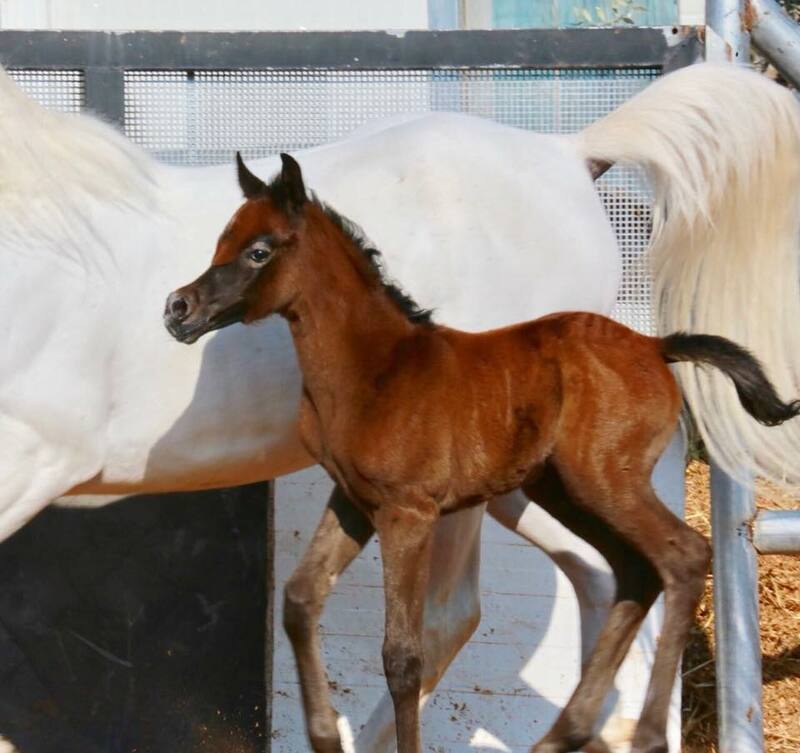 Has been bred to El Zilal Tamar for a late 2018 foal. 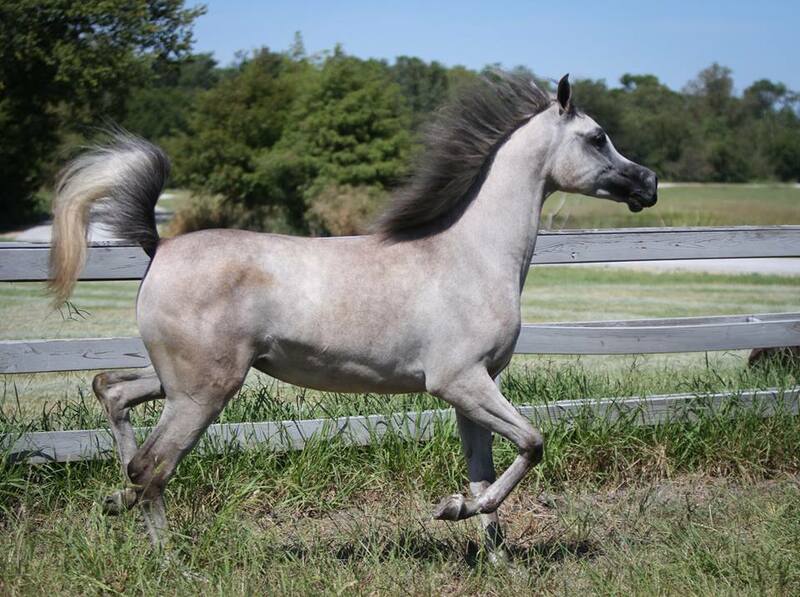 Inshirah is the reminisce of the old world breeding that would be welcomed in any tent! 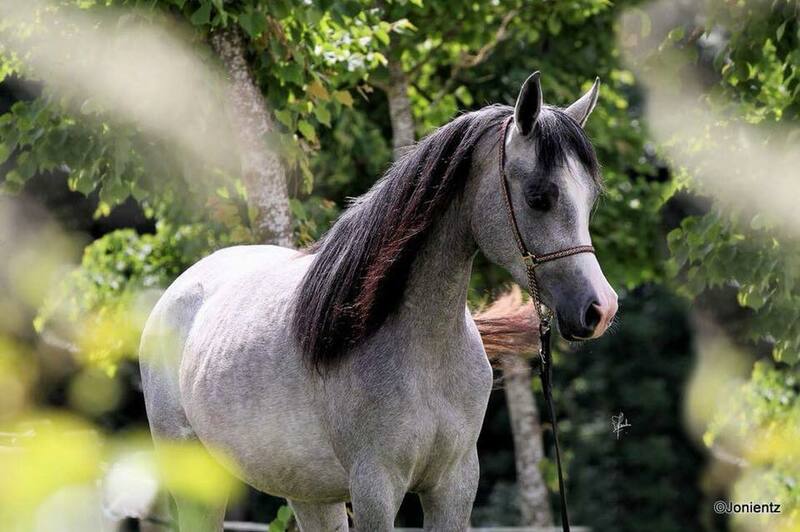 She's a perfect choice for a family looking for a horse that will do well under saddle as a sport horse or endurance, as well as a western pleasure and youth pleasure mount. 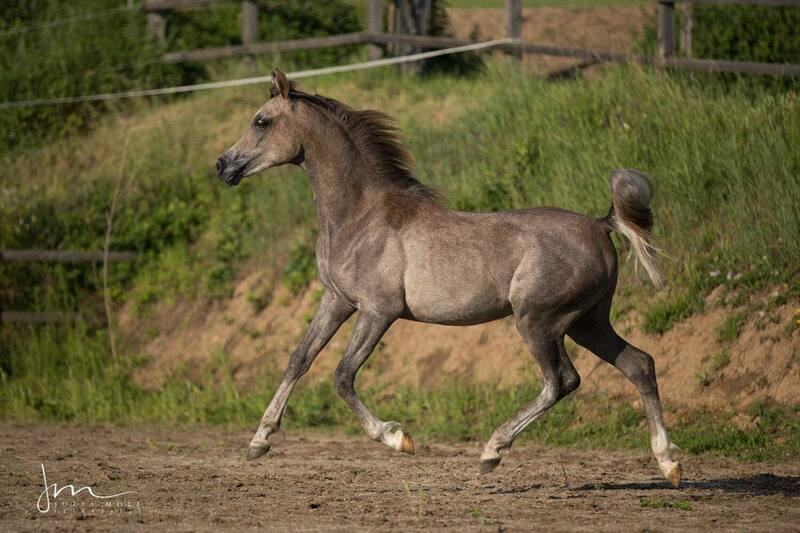 She's not trained yet, but she is not spooky and should take to saddle training like a fish to water. 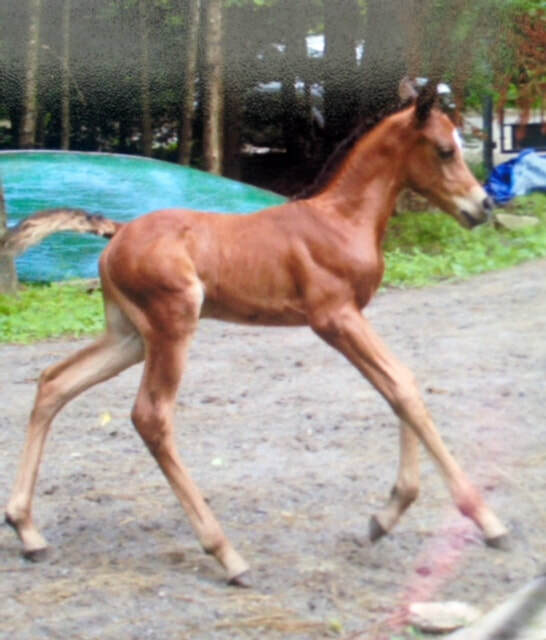 Her rare bloodlines, and correct conformation should make her a great producer as well. Aqmar is of Saqlawi Jidran strain, Moniet El Nefous dam line and Mouna family. 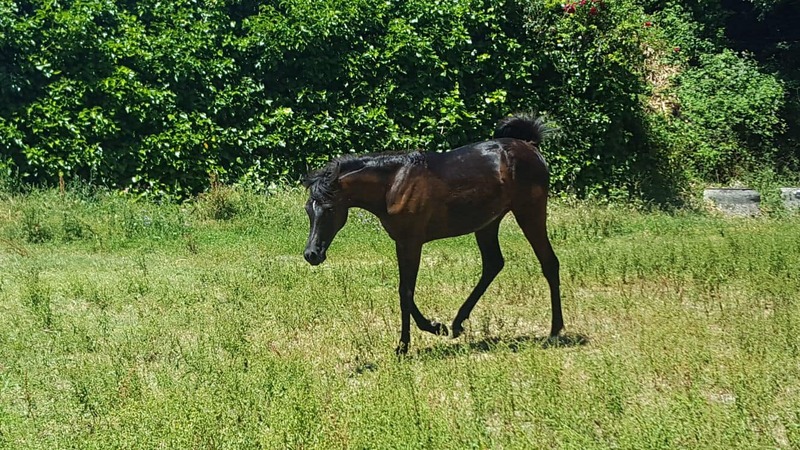 This mare could well produce a racing type SE foal, with main ring potential! 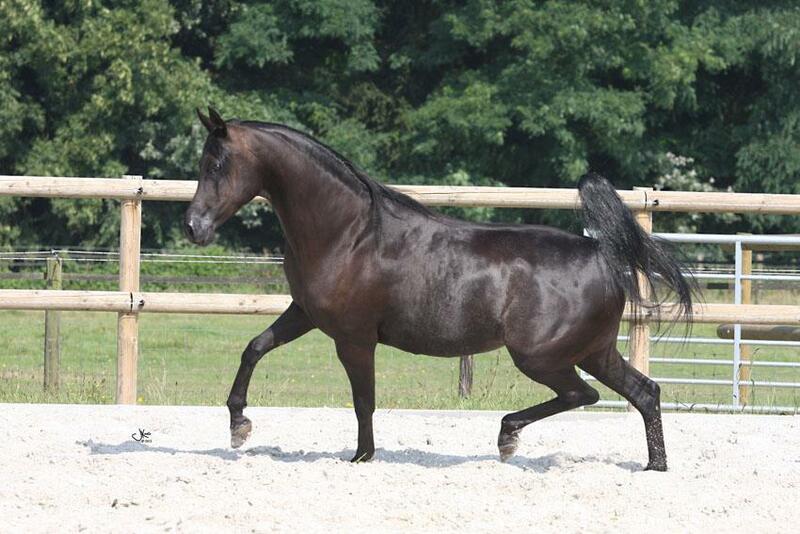 Mahonri is very elegant and refined while standing 15.2 hands tall barefoot. 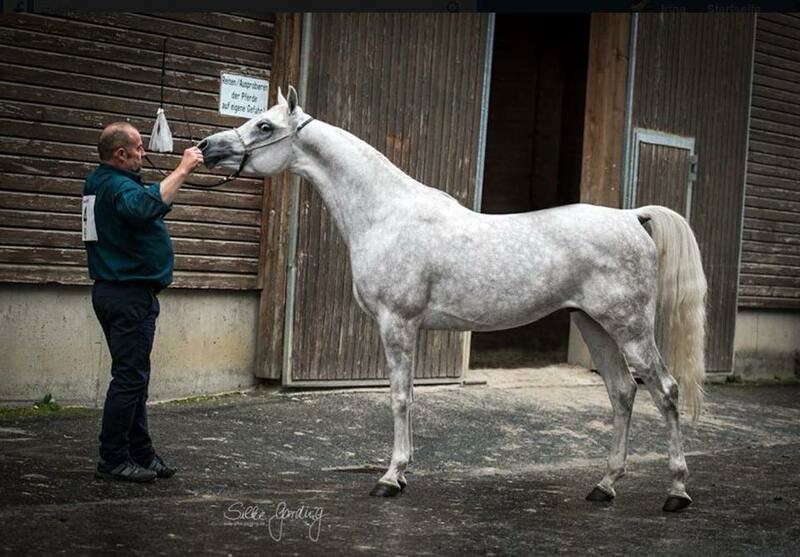 Mahonri is a TALL horse but he is not a BIG horse. He has very dense porcelain like bone covered with skin and hair that are fine and delicate. 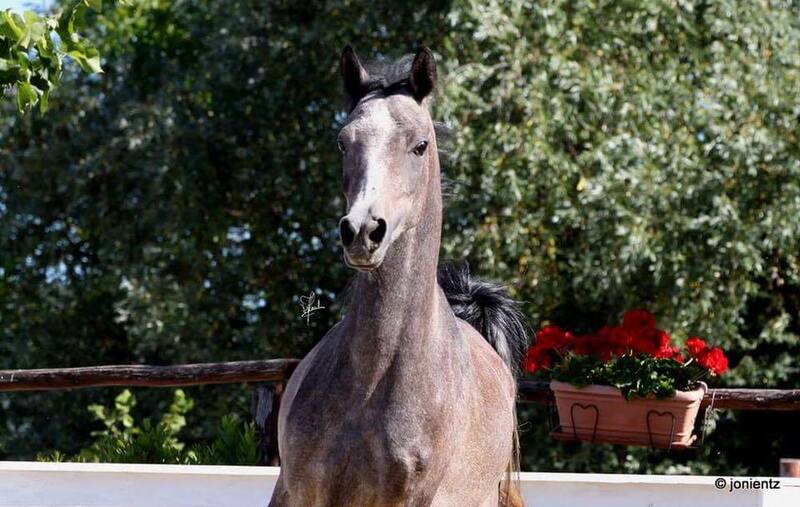 He has exquisite type, a beautiful, strikingly dramatic head with large eye set low in his head. 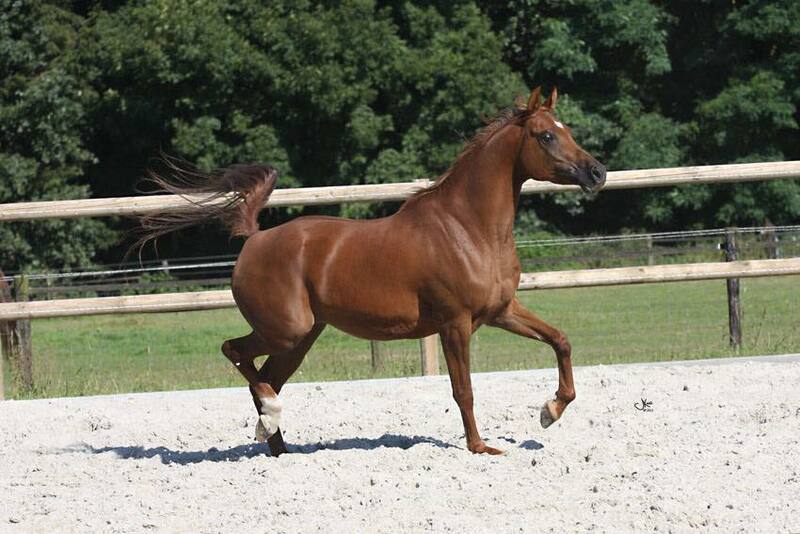 He carries his long neck very high and the attachment to his long sloping shoulder is almost perfect. 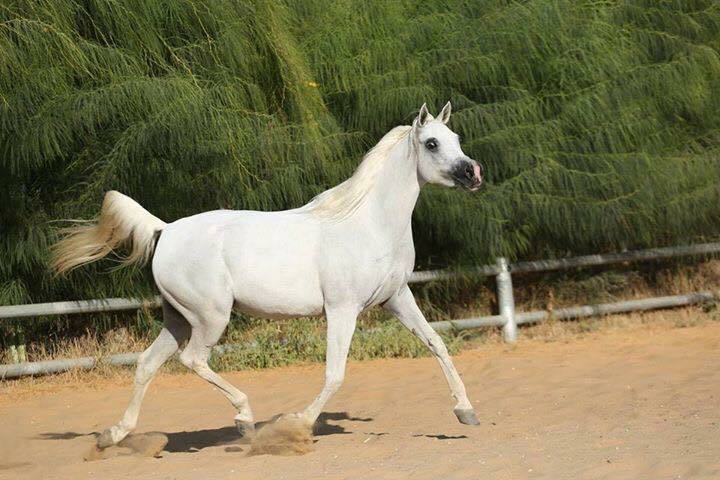 He has long beautiful legs and possess the extreme dressage action of his Dam, *AK Jaheena with a long stride and a ground covering trot. 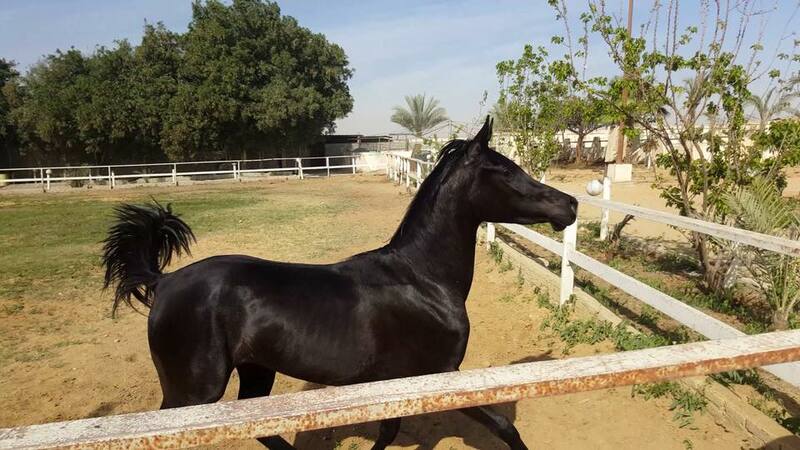 For many, many years Meadow Mahonri was the ONLY Black Straight Egyptian, Sheykh Obeyd Hadban Enzahi Stallion in the WORLD... 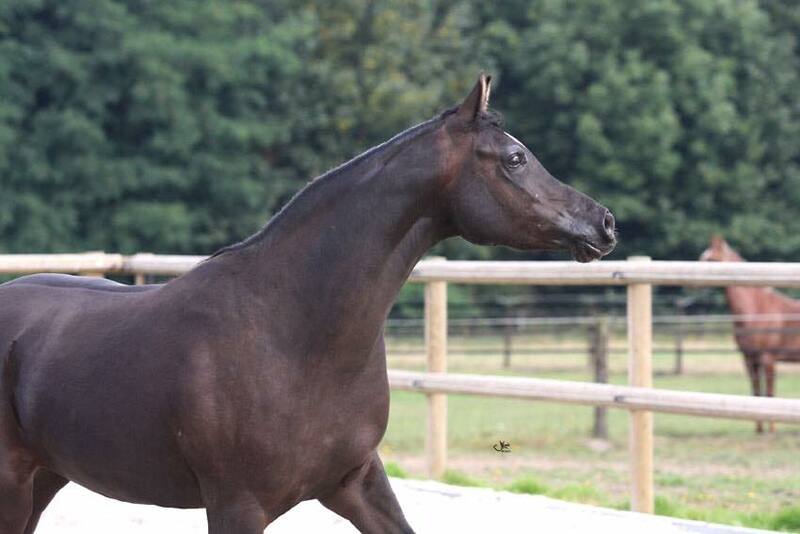 This Beautiful and very correct stallion is the only Hadban Enzahi son of the black beauty Kamars Sharif. 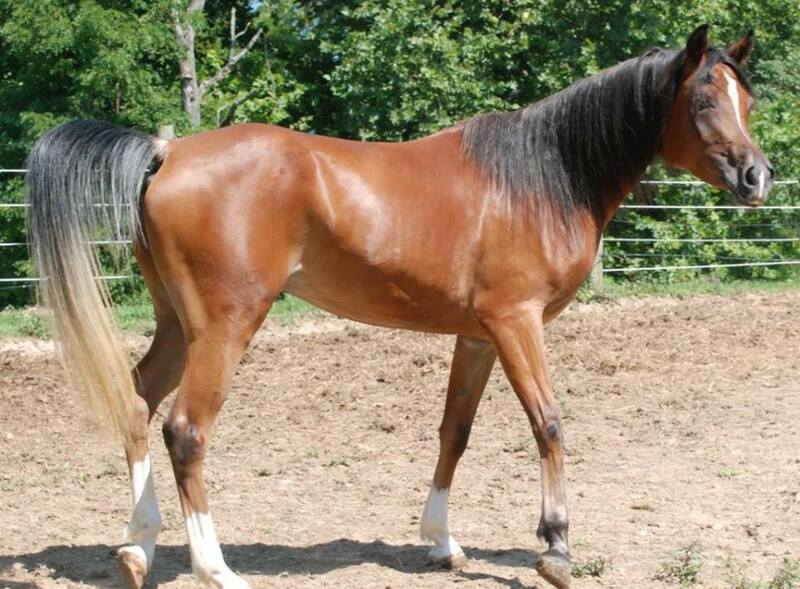 Meadow Mahonri is a combination of Babson breeding through his sire and EAO breeding through his dam. 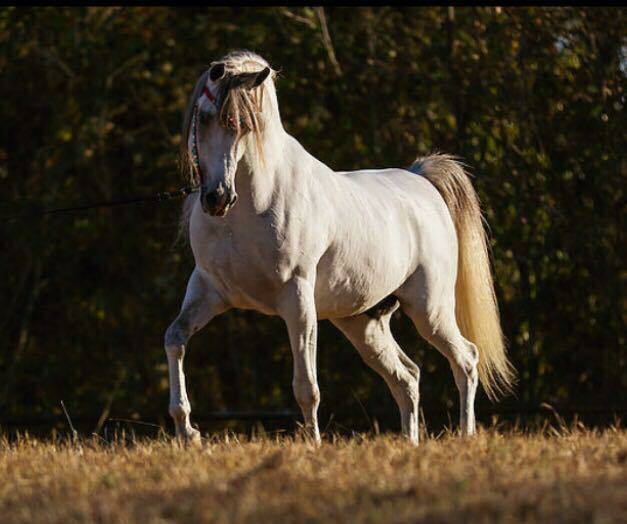 Classic elegance comes to this brilliant stallion from both sides of his pedigree. 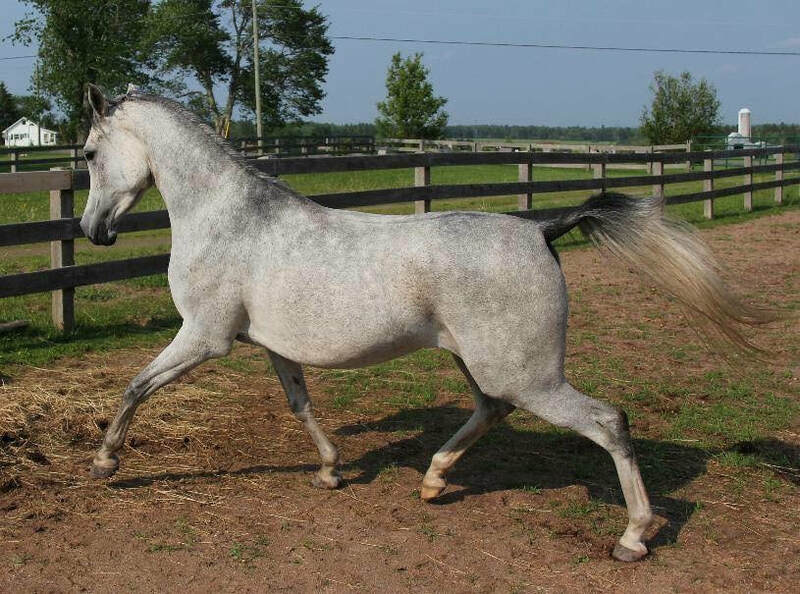 Hadban Al Nazhi is of the rare Hadban Enzahi Strain within Sheykh Obeyd. 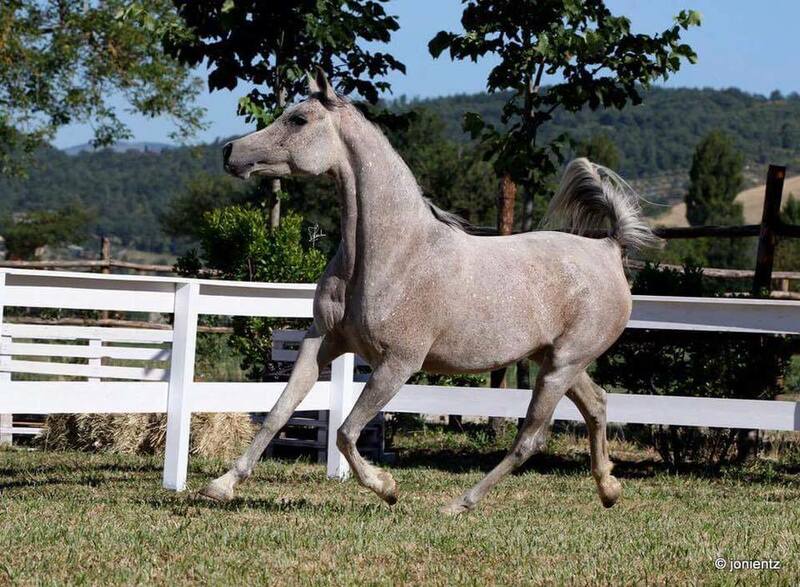 He is the FIRST Pure-in-Strain Hadban Enzahi Sheykh Obeyd stallion born in the USA! He is also the only Sheykh Obeyd son of Glorieta Gazaal! 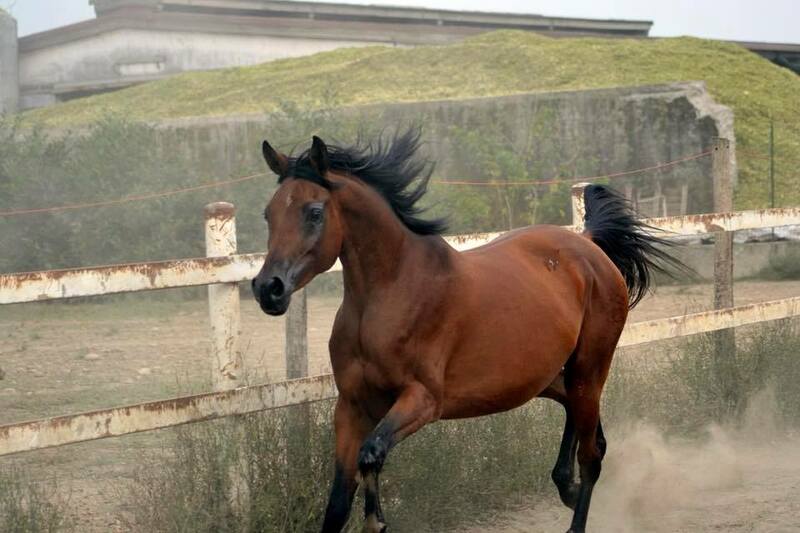 He is under saddle and a blast to ride.